Remember the Borg? They’re like the neighborhood association. They just want to raise the quality of life for all species. Did you have other plans? Locutus of Borg (formerly Captain Jean Luc Picard) makes it clear that resistance is futile. Battle ensues at Wolf 359 to stop the Borg, also a futile maneuver. 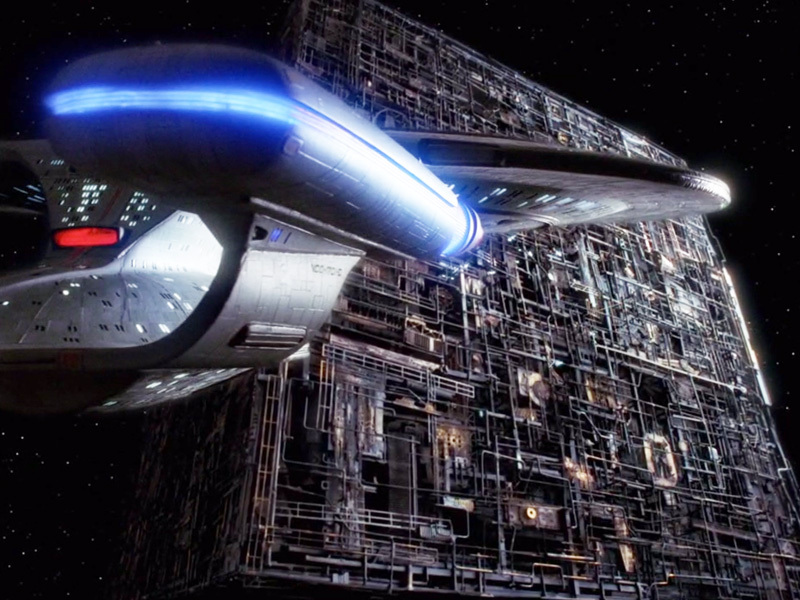 Can the Enterprise save humanity and Picard? Find out when we put The Best of Both Worlds – Parts 1 and 2 – in the Mission Log.